Kyle & Alissa Circle live, play, and work together after being married for 13 yrs. Together they founded Pollinate Media Group in 2012, Weave Made Media in 2014, and Target Made Me Do It in 2016 which connects industry leading brands with top digital influencers publishers. Alissa graduated from Azusa Pacific University with both a degree and Master’s in Education. After beginning her career as an educator she started a blog in 2007 while pregnant with their youngest. Originally known as Rags to Stitches she rebranded to Diary of an Addict in April of 2014, which quickly became a popular lifestyle blog in Orange County, CA. She discusses balancing family, business, food, fashion, fitness & faith. Kyle is known as a serial entrepreneur/super connector, getting his start with his first produce stand at the age of 11. He spent a decade in the Christian music industry consulting, developing, branding national touring artists along with a partner in Transparent Productions SoCal’s premier Christian concert promoter with FishFest being held at Verizon Wireless Amphitheater. In 2005 Kyle launched The Credit Card Machine Man, a credit/debit card processing company for touring bands & non-profits. In 2010 he co-founded & co-invented MobilePayUSA, a mobile payment and marketing app which was sold to PayMe Inc. 2013. He dropped out of college after his first year but has continued his education through YPO Young Adults, EO, YEC, TED & Summit Series as a member. Kyle & Alissa have two children Katelyn & Brayden, attend Redemption Church, serve on multiple for/non-profit boards and split time between Costa Mesa, CA & Franklin, TN. Sanford’s unique background as a Commercial Real Estate Broker/Principal, and 25 years as a Wealth Advisor combines a history of real estate underwriting with the experience of a Registered Investment Advisor (“RIA”). He is one of few professionals who have been able to successfully transition from being an RIA to a Sponsor of RIA-friendly commercial real estate Alternatives through his company, VisionWise Capital, which controls $51M of real estate assets. Sanford began his professional career as a Commercial Loan Officer underwriting loans for real estate and energy related credits. He has served Investors as a Commercial Real Estate Broker and Principal of over $500 million in commercial real estate acquisitions and dispositions. As Vice President, Wealth Management Advisory at Merrill Lynch for 16 years, Sanford managed over $100M in client assets, and co-developed a three-year $77M pilot project creating financial opportunities for the region’s ethnically diverse communities. Sanford earned ML’s Lifetime Achievement Award for leadership and excellence. Sanford holds a post-graduate Certificate of Entrepreneurship from the University of Southern California, and received his BA from the University of Texas at Austin, where he played football on a four-year scholarship. Sanford has been a featured speaker for colleges, universities, and industry conferences including courses on Business Financial Strategies at UCLAs Price Anderson School of Business, and Alternative Investments at several IMN, iGlobal, and ADISA Conferences. 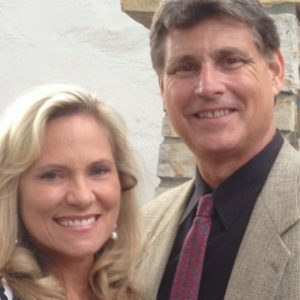 Sanford and his wife, Robin, live in Southern California and have three adult children. 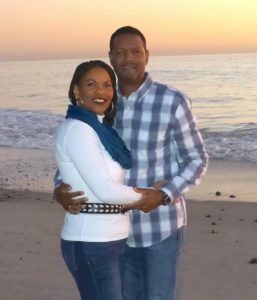 Robin Coggins, co-founder of Beauty Defined, is a dedicated and loving wife of 30 years and a homeschool mom who spent 16 years being dedicated to her three children whom she trained and taught up to and through high school. Her extraordinary dedication to learning and training her children has resulted in the first born having graduated on the Dean’s list from Biola University; the second born, a business entrepreneur and student of Middle Tennessee State University; and the third born, a former cadet at the United States Air Force Academy, and now a graduate student-athlete playing his final year of basketball at Cal State Fullerton University. Prior to being a homeschool mom, Robin spent nine years as a Court Reporter for the State of California. Her aptitude for success and proficiency was demonstrated early as she ranked 11th in the state, out of 600 students, on the California State Reporter exam. Robin is co-author of the book, Beauty Defined, Etiquette Principles and Charm for Life [Xulon Press], and a Certified Beauty Consultant and Trainer of etiquette. For over twenty years, she has been teaching women how to discover their own unique beauty through the power and application of Biblical truths and what is clearly seen as the precious value of the woman (1 Peter 3:4). The impact she has had on the lives of women and their families is extended beyond her classroom, to the results of her years as a mentor and Creative Memories consultant, showing women how to protect and archive photographs while journaling their family experiences for the purpose of leaving a legacy that endures the test of time. Robin is an avid reader and diligently pursues personal development by discovering and applying her God-given gifts and talents to her passion of showing other women how to be fully who they are. 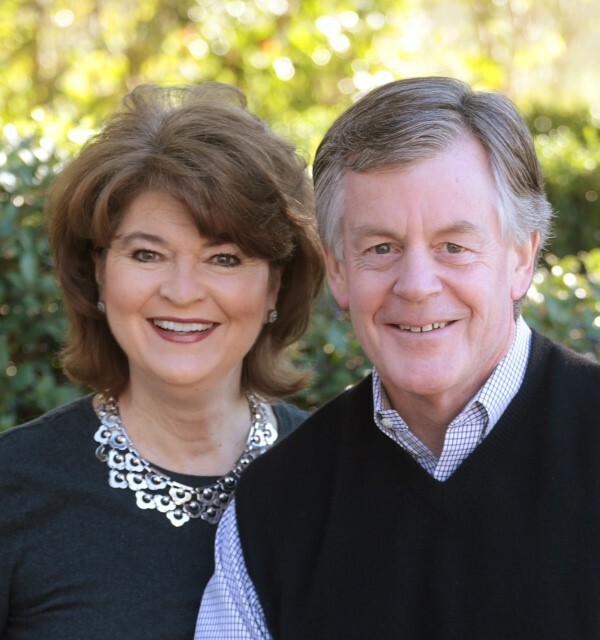 Jim and Debbie Hogan have worked together in ministry for over twenty years. In 1985 Jim was elected to the elder board of one of the largest churches in the nation located in Orange County, California. In 1988 he became chairman of its board and the next year Jim began serving as the Executive Administrator of the church, a position he held for five years. Jim was in charge of 150 employees including fifteen associate pastors and one of his responsibilities was being the pastor to these pastors. This experience allowed Jim and Debbie to discover first-hand the demands placed upon those in full-time ministry. During this same time Debbie was the teaching leader and “Titus Mom” for MOPS (Mothers of Preschoolers), a position she held for eleven years. Currently she is a guest speaker for MOPS groups throughout Southern California and she has had the privilege of being a mentor to many of the young mothers who attended her classes. In addition, Debbie has been involved with many women’s ministries and charities in Orange County. Jim graduated from The Master’s Program, a three-year program developed in 1999 by Bob Shank which is designed to coach Christian leaders who want to change their lives from being successful to being significant for God’s kingdom. Debbie is a graduate of The Partner’s, a ministry for spouses of those in The Master’s Program. 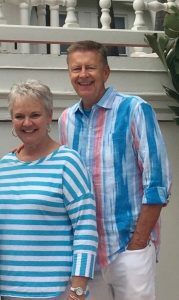 During their time in these programs, Jim and Debbie developed a vision to encourage those serving in full-time ministry. They began operating Standing Stone Ranch in Southwest Colorado in 2002 where they hosted ministry couples for individual week-long retreats which were designed to offer them support and to establish lasting mentor/mentee relationships. In 2011 they founded Standing Stone Ministry in order to serve a greater number of ministry leaders and their spouses. In 2013, the Hogan’s wrote “Shepherding, Shepherds: The Standing Stone Story”. The Hogan’s were married in 1969. They have two married sons and six grandchildren. They live Orange County, CA. 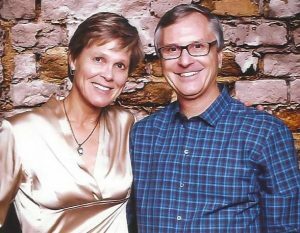 Jim and Debbie Hogan have a deep passion to mentor and serve ministry couples who have dedicated their lives to serving others. They consider it a great privilege to be part of Standing Stone Ministry as they help to Shepherd the Shepherds. During his NFL career, Dean was active with Pro Athletes Outreach, helped start and facilitate two team Bible Studies, and worked in the off-season with Sports World Ministries (SWM), presenting the gospel in public schools. After retiring from the NFL, Dean joined SWM’s team full-time as well as starting the Dean Miraldi Foundation, which provided college scholarships to student athletes who exemplify high moral character. He also has non-profit donor development experience with Family Research Council, currently works on assignment as a COO/CFO for turnaround companies, chairs a Christian CEO forum group for Convene and serves on the Supervisory Committee for the Evangelical Christian Credit Union. April played volleyball at UCLA, then internationally with Athletes in Action’s Women’s National Volleyball Team. She was on staff as well with Campus Crusade for Christ, and helped start and facilitate the L.A. Raiders women’s Bible Study. Over the decades, April has been active in her church’s women’s ministry and a group leader for Bible Study Fellowship. She currently has come on board part time with Standing Stone Ministry to help with internal support and donor development. 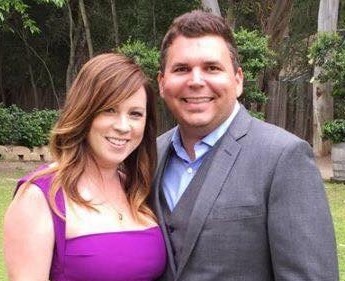 Dean and April live in Orange County, CA and have four children who are all college athletes. 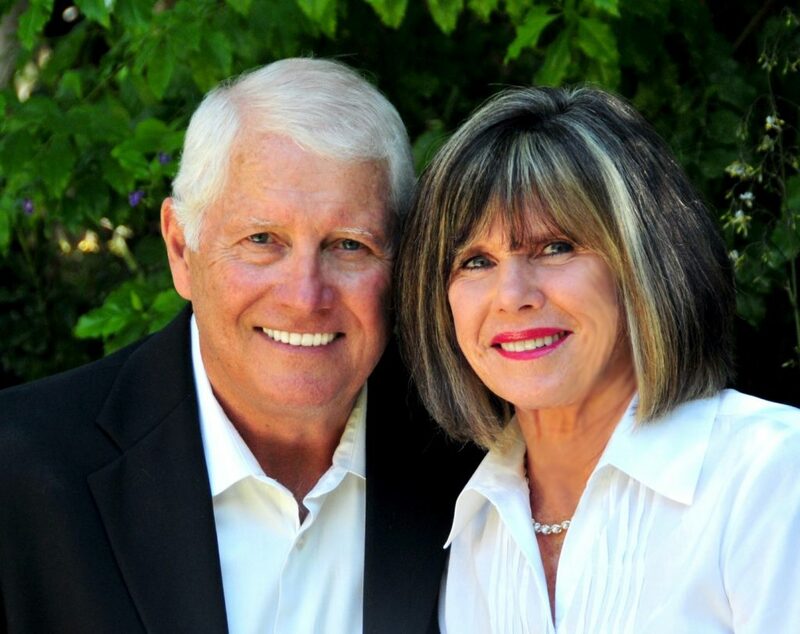 Natives of Southern California, Bob and Cheri have been married for forty-three years. Bob’s background of fourteen years in the marketplace, four years as a senior pastor and almost thirty years working with pastors and business leaders gives him a unique perspective on the challenges that face ministry couples today. Founder of The Master’s Program, he helps business and ministry leaders coas- to-coast explore, explore and exploit their unique Kingdom calling. He recognizes that balance, margin and focus are important to every ministry couple and are all too easily lost in the demands of every day ministry life. As a former pastor’s wife, Cheri understands the delicate balance of having a healthy marriage while partnering in ministry. As a Women’s Ministry Director, Bible Study teacher, mentor and discipler of women for decades, Cheri knows the potential impact that we can each have to make our world a better place. As an ambassador for abandoned and HIV-Positive babies and children in South Africa, she knows the unbridled power that ordinary American women can have in doing something extraordinary to help those in need. Bob and Cheri’s two daughters and sons-in-law are their best friends and have given them five incredible grandchildren. They love to travel and have spent years enjoying the outdoors while camping, white water rafting, off-road motorcycling, horseback riding and marathon running. They know the joys and heart breaks of being in ministry and have a genuine heart for the struggles that ministry couples face every day. Rick and Sherry were both born and raised in Los Angeles. They’ve been married and lived in Orange County for thirty-two years and have one young adult son. Rick played volleyball at UC Irvine and then graduated from law school at USC. He is a partner at Allen Matkins law firm where he is the Director of their Real Estate Department. Over the last thirty years of his legal career Rick has negotiated acquisitions, sales, financing and the development of commercial property for public companies, developers, institutional investors, financial institutions and lenders. At Grace Fellowship Church Rick has been a part of several Bible Studies over the past fifteen years and is currently in their Axios Men’s Discipleship group. Rick also serves on the board of Christ Life Ministries which is building a church campus in Lusaka, Zambia that will be run by Pastor Mulenga Chella. In his free time Rick loves to ski and mountain bike ride. Sherry played volleyball at Stanford and then worked for several years in Marketing and Public Relations jobs. She was active in parent leadership and ran numerous fund-raisers at Mariners Christian School while their son was a student there. At Grace Fellowship Church she has been actively involved over the last fifteen years, facilitating home dinners and running women’s retreats. For the last five years she has been part of the teaching team for the primary women’s Bible Study at GFC. She also enjoys skiing, tennis and hiking in her spare time. Walt and Mary are high school sweethearts and just celebrated 50 amazing years of marriage, 40 years of ordained ministry and 70 years of living life with joy and enthusiasm! They were the pastors of Community Church of Joy in Glendale, Arizona for the past 40 years. During that time, they trained over 50,000 pastors, spouses and Christian leaders throughout the United States As well as around the World as CCOJ grew into one of the leading evangelical churches and the fastest growing Lutheran church in the nation. Now their time is split with their Arizona family and California family, enjoying their children’s and grandchildren’s exciting adventures. They both love to support and mentor pastors and their families, as well as those who who are called to marketplace ministries. Dr. Walt Kallestad has written several books, including Total Quality Ministry; Wake Up Your Dreams; Entertainment Evangelism; Christian Faith: The Basics; Be Your Own Creative Coach; Turn Your Church Inside Out, Entrepreneurial Faith, Passionate Life and Passionate Church, World Changers and his latest, ReignDown, A Call to Personal Repentance. Most of all, however, Walt and Mary love to enjoy and please their Father…LIVING ALL AND ONLY FOR JESUS!